Family Christian Stores is selling products below my cost five miles from my shop. How do I compete with this? 1. Can I make us both happy? Sometimes “close” is good enough. If your competition has an item at $19.99 that has a suggested retail of $29.99, maybe your customers will be satisfied with $21.99. They may then buy other items and have a positive view of shopping at your store. 2. Do I have the opportunity to explain the “why”? So many of our customers do not know the difference between shopping at a big box store and at a locally owned business. I firmly believe that part of our job is to explain our mission and gently educate our customers to promote loyalty and assist in keeping small stores open in their community. Talk about how your tax dollars pay for the roads and schools, how people come through your doors who would never step into a church building, and how you donate products for local fundraising and employ their neighbors. When an explanation is given with love, the customer often receives it well. 3. How can I retain this customer? Maintaining repeat business is best, of course. It’s always cheaper to retain an existing customer than to obtain a new one. Carefully consider how to react to a request for a discount. A battle over a few dollars can make the critical difference between a lifelong happy customer and a disgruntled ex-customer. I’ve been told that I need to offer gifts that don’t always have Scripture emblazoned on them. How do I offer these items without compromising my mission? Christian retail’s average consumer is a middle-aged woman with some disposable income, and she just happens to like jewelry, scarves and other fashion items. Women will buy these elsewhere but don’t mind purchasing them at my store. Since I’ve added more general market gifts, I have only been questioned a few times about offering this type of product. I respond: “Our industry has so much competition for the products that we carry that many of my friends have been forced to close their stores. We have chosen to diversify our offerings so we can pay our hardworking staff and keep our lights on.” I’ve yet to have anyone disagree with that reasoning, and several times have then sold those customers the very products they were questioning. There is obviously a difference between carefully selected products that enhance our selections of scriptured items and offensive, inappropriate gifts. It never hurts to have your staff wear some of the items you sell. We’ve even had a customer buy the scarf right off of an employee! Labor costs are my biggest uncontrolled expense. How do I make my customers feel welcome without hiring more help? Hire wisely. One terrific employee often can do the job of two or three marginal staff members. I always start with my customer base by posting signs stating that we are eager to hire our next team member. Customers will likely make great employees because they already love what we have in the store, and if they aren’t interested, they pass the information on to others who are looking for work. I’ve never had to take out a newspaper advertisement to post a job but have used social media. After the initial application, I have a four-page form that is given to the best candidates. Interviewing those whose applications have merit is the third step. Using the same battery of questions, I am often surprised by the responses and can get a sense of their personality. After a promising interview, I explain that I always give a test to those who I think have the best potential for success at our location. The 12-minute WONDERLIC applicant-screening test is used to help determine how well a person will be able to do the myriad of tasks required by the unique circumstances of our store. There is a direct correlation between test scores and the ability to switch quickly from task to task, handle interruptions and not have to be taught steps repeatedly. At $10/test, it’s an investment that is 100 percent worth the expense. It can save you from making a poor decision hiring someone who will be slow to learn and frustrated in their work. 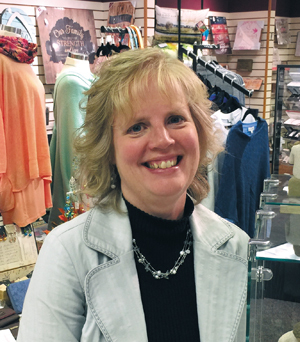 Lorraine Valk is owner of Parable Christian Store of St. Joseph and the P Graham Dunn Gallery of St. Joseph in a resort community near Lake Michigan.